I am pleased to announce a new sponsor on A Lean Journey Blog - LeanKit Kanban. LeanKit Kanban is tool that was originally conceived for managing software development that has come to be used in lots of other business areas, construction, manufacturing, logistics, fleet vehicle maintenance, etc., for teams from one to hundreds. I have been using this product for several years now. LeanKit Kanban was first highlighted by me in my personal kanban series of posts. I showed how LeanKit Kanban allows you to create a virtual kanban system online. 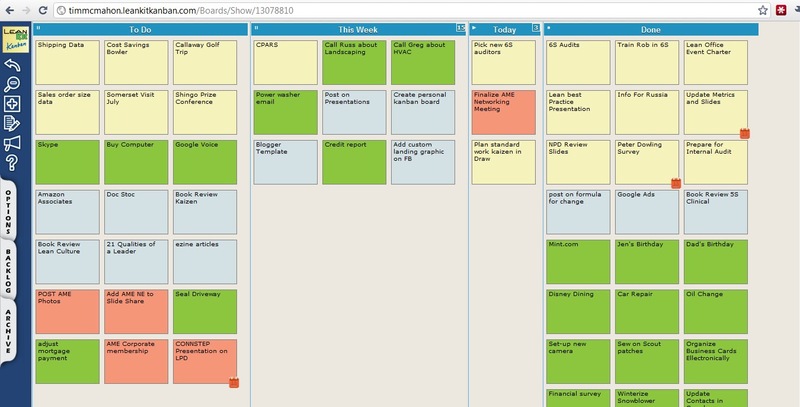 Their software makes it easy to customize your own kanban board, add color, dates, and more like this one. I recommend you explore the use of a personal kanban system for improving your productivity and that of your team. 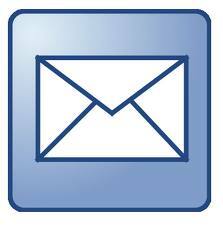 LeanKit Kanban gives you an easy way to convey a tremendous amount of information for the entire organization. Congrats on the sponsor. I think the software is really cool (and actually suggested that a friend of mine use it at his company).